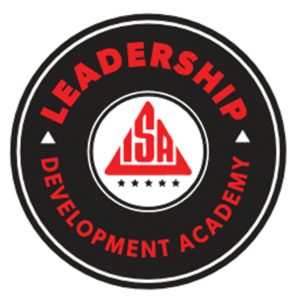 The Leadership Development Academy is a result of discussions with the ISA membership, and specifically, an outcome of the ISA GC Council. 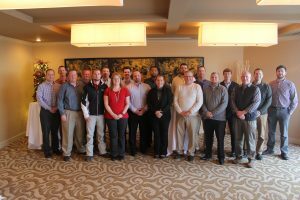 The leadership of ISA recognized a need for knowledge transfer between the construction industry seasoned professionals and those aspiring to move into senior leadership roles. The ISA recognizes there is a need for a broader educational approach in order for these aspirers to gain the full breadth of knowledge required to be a senior leader in an organization. 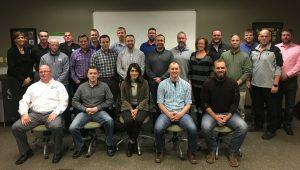 The Leadership Development Academy provides a membership service that will collectively advance individuals and save businesses countless hours and resources it takes to develop a program of this nature on their own. The LDA is geared towards providing real-world, usable and practical information and tools for the next level of leadership. Assist knowledge transfer from current senior leadership to those aspiring to become senior leaders. Generate a positive and productive culture with multi-generational individuals. Create a special avenue for companies to identify their next senior level leader. Provide an avenue to empower your key employees to meet and exceed their professional development goals. Create a forum where current senior leaders can collaboratively develop a broad based, real world curriculum that focuses on best practices of running a construction business. Create a method for recognition of competency by others such as general contractors. Explore ways to partner with educational institutions. Provide a membership service to ISA members. Develop ISA intellectual property for the subcontractor. Provide ISA members with real world tools and knowledge. The program will offer 15 courses over 18 months. An ice-breaker session will be held prior to the first course taking place. A special voluntary seminar with a prominent speaker will be held in December of each year wherein the attendee and his/her mentor are invited to attend. Each individual must complete all courses in order to receive full completion recognition. If a course is missed, the individual would make that course up once it was available in another course cycle. An ISA member company shall select an individual from their firm that they have identified as their next senior leader. The application is a two-part process and will be conducted online. The applicant for the course will complete portion one of the application and a senior leader within the company will complete portion two of the application. Applications are only considered complete if both portions of the application are received prior to the deadline. An application fee of $150 will be submitted with the application. This is a non-refundable fee to cover the processing and administration of the application phase. If selected to the academy, the application fee of $150 will be applied to the total cost of the course. A selection committee made up of ISA volunteers and staff will review and select applications. A limit of 25 individuals will be selected per course (numbers may vary based on need and course make-up). Additional courses will begin as the need arises. A rubric will be created to evaluate each applicant including minimum requirements to gain access to the course. Third Wednesday of Each Month from January 2019 through June 2020 - Courses will be held on recurring date each month from 8:00AM-12:00PM. Students are required to attend every course. Employer will be responsible for meeting with academy participant after a category of coursework has been completed. The employer will assess what the employee has learned and sign off on a form that the knowledge gained was satisfactory.